The St. Joseph's Health Amphitheater at Lakeview is an outdoor concert venue located on the shores of Onondaga Lake in the Town of Geddes, near the western edge of Syracuse, NY. It is an extension of the Empire Expo Center, home to the Great New York State Fair. Home to top ranking academic institutions, over a million square feet of move-in ready space and more than 50 state, county and city parks, Syracuse and Onondaga County are rich in resources for business and for life. Explore our local resources, data and industry concentrations. The Onondaga County Office of Economic Development is a collaborative organization that provides information and services to relocating companies, expanding companies and local businesses. It is our goal to improve and grow the physical, financial and human infrastructure in Syracuse and Onondaga County, improving the area’s ability to retain and recruit businesses. The Office is responsible for the management of the Onondaga County Industrial Development Agency (OCIDA), the Onondaga Civic Development Corporation (OCDC), and the Trust for Cultural Resources of the County of Onondaga (CRT). Every program and service we offer is designed to build a more vibrant, thriving community. Please browse our website or contact us to learn more about how we can help you. Syracuse Ranked Best Metro Area to Live in NY! 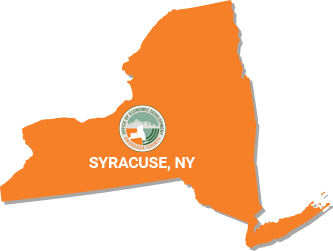 Many people who grow up in Syracuse stay and then raise their children in the area. It's a comfortable place to live, and the metro area continues to enjoy improvements, including a massive cleanup of Onondaga Lake and the construction of the new Lakeview Amphitheatre. A way for businesses to find the right fit for an expansion. The Syracuse metro area ranked 20th in affordability, making it the only other New York metro area in the top 21. Extensive list of available commercial properties for rent or lease in Onondaga County. Includes undeveloped land as well.